Napa CART is incredibly thankful for the leadership and support of our Community Advisors. These organizations provide oversight and guidance for our planning, animal experienced volunteers, financial resources, and support the integration and utilization of the Napa CART team within Napa County's broader disaster response plans. Napa CART would not exist without the support and leadership of Napa County and these amazing organizations. Napa CART brings together volunteers with a broad range of relevant skills, including veterinary, operations, incident management, volunteer coordination and financial experience. Claudia Sonder, DVM is a 1995 graduate of the UC Davis School of Veterinary Medicine. She served as the Director of the Center for Equine Health at UC Davis from 2012-2016, and worked to improve Disaster Preparedness for horse owners and veterinarians during her tenure, in collaboration with IAWTI and BARTA. Dr. Sonder is an Associate with Napa Valley Equine and has practiced in the Napa Valley since 1997. She sits on several boards serving equine welfare, and has responded to multiple large scale disasters. Saanen was born and raised on a farm, where her family raised dairy goats, saddle horses, donkeys, a mule, chickens, cows, pigs, llamas, sheep, and farmed with draft horses. Her family founded and has directed Vine Village since its inception in 1972 and she is currently Associate Director, Certified Administrator, and Client Care Manager of Vine Village, Inc. She attended local schools and graduated with honors from the University of California, Berkeley, where she was a member of the Cal softball team. Saanen is currently the Head Varsity Softball Coach at Vintage High School. Sheila Edgington is the Treasurer and Board Member of Napa CART. She is a Senior Underwriting Analyst with The Doctors Company and has been Treasurer and Board Member for Napa Valley Horsemen’s for the past 7 years. She has a passion for helping animals and was excited to volunteer with a group of like minded people. Sheila was born and raised in Napa and resides with her husband, 2 children, 4 horses, 2 mini goats, and 30 animals on a small farm in the Coombsville area. Tom MacDonald brings varying experiences to Napa CART. In the early 1980’s, Tom was responsible for United Airlines Operations Center, which planned the comings and goings of flights at the terminal and reacted when things didn’t go according to plan. Tom was also responsible for UAL Emergency Procedures Manual at SFO. For the past 20 years, Tom has managed Operations Central for the Tour de Cure, a bike ride with 2000-2500 riders and hundreds of volunteers. Tom will leverage these skills and experiences to cooperate and liaison with Napa County during an emergency. Scott Atkinson is the Leader for the Small Animal Sheltering activities of Napa CART and resides in Calistoga. He is the President of Napa Valley Materials, a supplier of specialty landscape materials focusing on environmentally-friendly projects. From more than two decades of project management in landscape and materials, Scott brings extraordinary skills in ensuring our emergency animal sheltering efforts are efficiently laid out, properly staffed, kept well stocked and a healthy environment for pets and people. Coral Mika is the Dispatch Manager for Napa CART and resides in Napa. She is a supply chain management and logistics expert, currently working in the wine industry. Coral is a certified Disaster Service Worker and has worked and trained extensively with other emergency animal rescue groups. She intends to focus on evacuation, dispatch and small animal sheltering within Napa CART. Coral has volunteered with various organizations since the age of 11, with her true passion being animal welfare, rescue and rehabilitation. Nancy helped found Vine Village, Inc. a 501c3 program for people with developmental disabilities, beginning in 1972, and has continued to be involved there. She is an active volunteer for the BLM Wild Horse & Burro Program, has been Chair of Napa Mustang Days since 2007, and has been an enthusiastic student of Horsemanship since she adopted her first Mustang, Sparky, in 2001. Nancy has been active in NapaCART activities almost from the beginning. Currently she serves as Historian and Co-Leader of Animal Transportation. Safe, humane rescue, evacuation and sheltering of animals requires well-trained first responders, veterinary professionals and volunteers. Are you a First Responder or Veterinary Professional ? 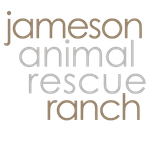 Become trained in animal trauma and rescue through our training programs for professionals. Trained community volunteers provide much needed additional support and resources during natural disasters and emergencies. Volunteer and become certified to provide assistance in emergency situations. Donations enable us to provide the education, advocacy, specialty equipment and care that ensures the best outcome for companion animals and livestock in emergency situations.